The Washington Chapter of the American Institute of Architects (AIA|DC) and the Emerging Architects Committee (EAC) are hosting the 2015 Re-Form Design Competition to explore the changing relationships between actions and spaces. Participants are invited to design an object or interaction that inspires or has been inspired by a new contemporary behavior. The Grand Prize is an invitation to travel to ICFF Show, the NYC high end and contemporary furniture fair, next May 2016. A $3,000 gift certificate and mentorship opportunities are also included. Three (3) First prizes and a People’s Choice award will also be announced. Traditional definitions of space, form and function are no longer able to fully adapt to the new and continuously evolving behaviors of our society. These new ways of interaction are a consequence of new technologies, which have drastically changed the patterns of social engagement. AIA|DC and EAC are seeking for ways to address these new modes of interaction? What are the new objects/tools produced by the hybridization of traditional definition of spaces and these new engagement opportunities? Participants are free to define a contemporary social/civil “problem” created by the juxtaposition of specific actions and spaces. 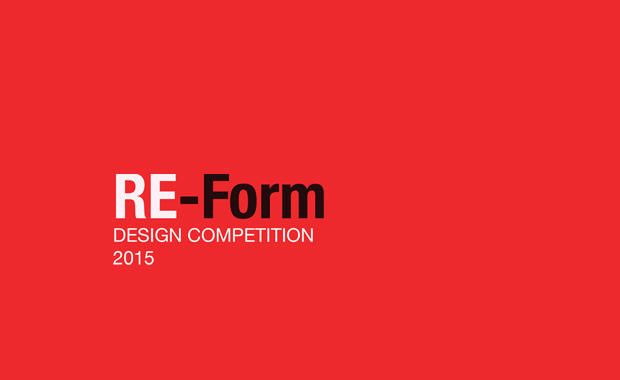 The AIA|DC Re-Form Design Competition 2015 is open to all architects, designers, students, interns, and other creative professionals. The registration fee starts at $25 for Students and member and professional organizations, to $40 for Young Professionals and $100 for Professionals with over 10 years of experience.